Berry reminds Blake of his promise to buy back from her the Lookout Mountain property she purchased from him. 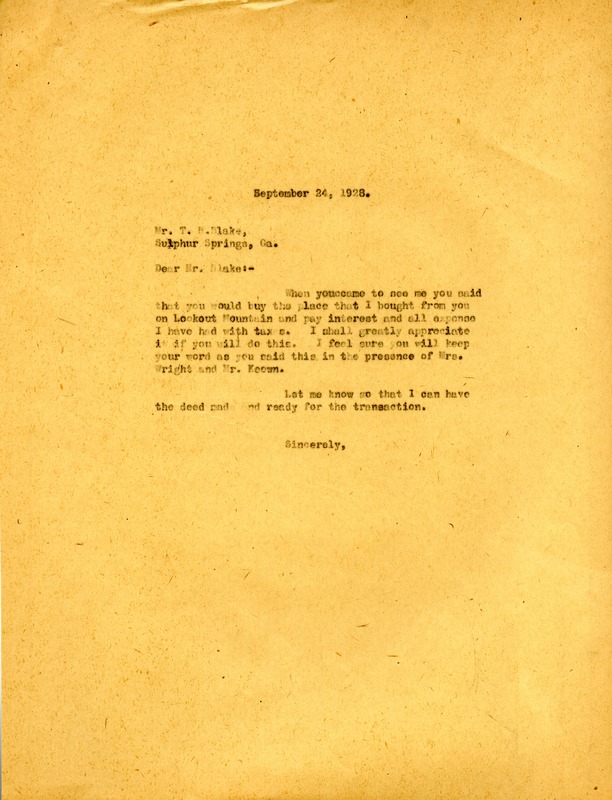 Martha Berry, “Letter from Martha Berry to T.B. Blake.” Martha Berry Digital Archive. Eds. Schlitz, Stephanie A., Sherre Harrington, et al. Mount Berry: Berry College, 2012. accessed April 22, 2019, https://mbda.berry.edu/items/show/6740.